available in West Los Angeles and Santa Monica. 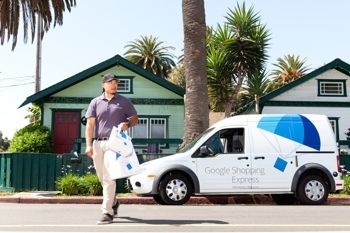 Google announced today that its Google Shopping Express same-day home delivery service has expanded and is now available in select parts of New York City and Los Angeles. Google's new service isn't the only same-day shopping service available, especially for big city dwellers. Amazon Local Express Delivery, eBay Now and Walmart to Go all offer near instant gratification of your online purchases. For now, though, Google Shopping Express is definitely the cheapest. That's because the company is offering six months of free, unlimited deliveries and a $10 credit for new customers just to get you to try the service out. Previously, Google Shopping express was only available in San Francisco. You can get started with Google Shopping Express by visiting google.com/express or by using the Google Shopping Express app [iOS] [Android].